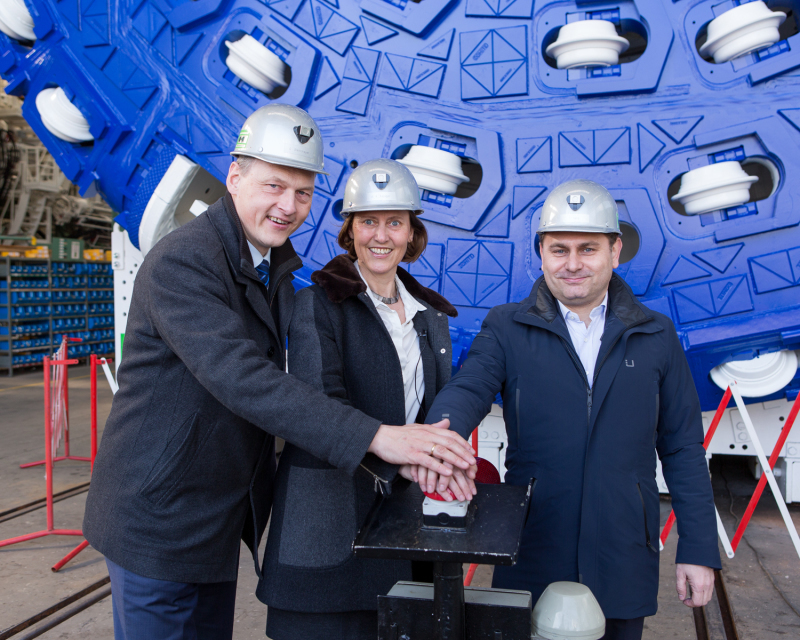 In early April 2016 the acceptance of a recently completed Double Shield Tunnel Boring Machine (TBM) with a 9.9 m diameter for Norway‘s infrastructure project “Follo Line” took place at the Herrenknecht plant in Schwanau, Germany. While two more high-speed tunnel borers are still in assembly, a fourth machine was being disassembled again for transportation. The first TBM-shipment arrived at the port of Fredrikstad on 28 April, and was transported to the installation site in Åsland. 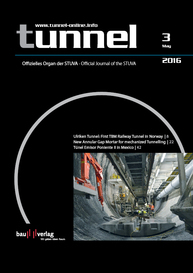 The Follo Line project is currently the largest transport project in Norway. It consists of a 22 km new double track railway line between Oslo Central Station and the new station at Ski, south of Oslo. It will form the core part of Inter City development south of Oslo and is commissioned by the Norwegian National Railway Administration (Jernbaneverket). 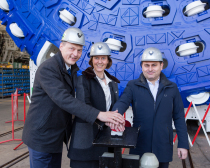 Double Shield TBMs are among the most technically sophisticated tunnel boring machines. They combine the functional principles of Gripper and Single Shield TBMs in one machine. In stable geological conditions, combining these methods permits the installation of concrete segments parallel to the drive, resulting in very high performance rates. 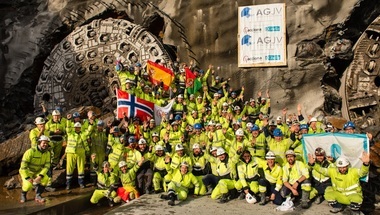 Each of the four Follo Line TBMs will work its way through 9.5 km of Norwegian granite with up to 350 MPa. Starting from the installation site in Åsland, two will tunnel northward toward Oslo, the other two will head south toward Ski – their journeys are estimated to end in winter 2018. 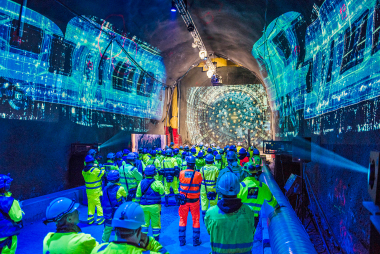 Acciona Ghella Joint Venture will construct the main part of the 20 km long tunnel, which will be Scandinavia’s longest railway tunnel when it is finalised at the end 2021. The construction of the line will cut the travel time between Oslo and Ski by about half to just 11 minutes.